Government employees cannot opt out of retirement systems. Mandatory participation is a foundational principle of government retirement setups. And most government employees are just fine with that. When a person takes a job with government agencies, that person is automatically enrolled in the employer's retirement system. For instance, workers at federal agencies contribute to the Federal Employees Retirement System or FERS. State and local jurisdictions have similar systems. While these systems vary across the country, they are largely similar in how employees contribute, how annuities are funded, how annuity payments are calculated and how retirement eligibility is determined. While it may appear overbearing for an employer to mandate participation in a retirement plan that takes money directly out of the employee’s paycheck, doing so is necessary for a strong retirement system that will stay functional in perpetuity. The money employees contribute is used for two main purposes: to invest for future payments to retirees and to actually pay retirees now. Unless everyone participates, these two uses for the money might not be carried out for lack of sufficient funding. Some look at this arrangement and liken it to the saying about robbing Peter to pay Paul. To some extent, their right. Employees of today are at least partially funding annuity payments to current retirees, but when you spin the clock forward, today’s employees become tomorrow’s retirees, and a new generation of employees partially funds retirees’ annuities. As long as there are employees, wise investments, and reserve funds, these government retirement systems hold up over time. The only time existing workers do not contribute is when they are return-to-work retirees who draw annuities from the retirement system. It doesn’t make much sense for a retiree to contribute to a retirement system when that person is already receiving annuity payments. Some retirement systems charge employing agencies a fee because the return-to-work retiree’s organizational position is not contributing and therefore lowers the number of contributors. The fee helps offset the negative impact to the retirement system. 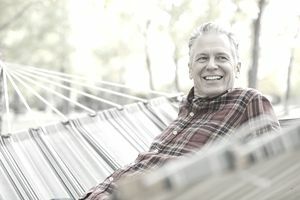 Those who have retired from another retirement system but are working for an organization affiliated with a different one must contribute to the employer’s system. Even though a return-to-work retiree will likely withdraw contributions before reaching the required years of service to qualify for an annuity, all workers must contribute because the retirement system has no way of knowing which ones will or won’t eventually draw an annuity. Most of the time, government workers do not mind mandatory participation in retirement systems. These systems make retirement planning easier when compared to what private sector workers must do. For most retired public servants, retirement system annuities make up a large portion of their monthly income. Combine that with Social Security, then personal savings do not need to make up much of a retiree’s strategy for supporting his or her lifestyle. Government workers still have to save on their own, but they are not as susceptible to investment risks negatively impacting their nest eggs. For most, the three-legged stool of government retirement is fairly easy to keep balanced.